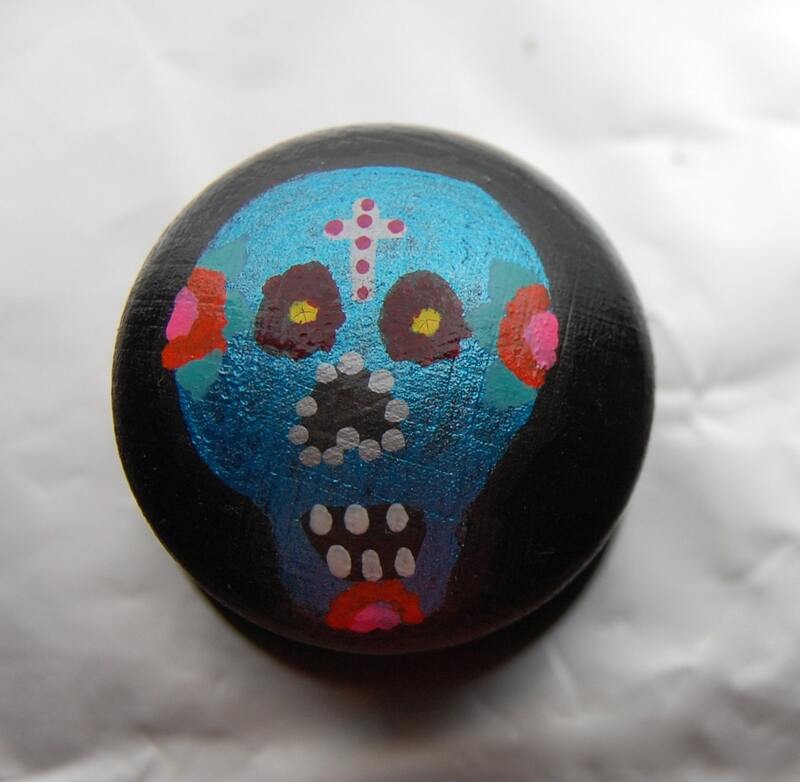 Dia de los Muertos is a Latin American festival celebrating the lives of those that have died. 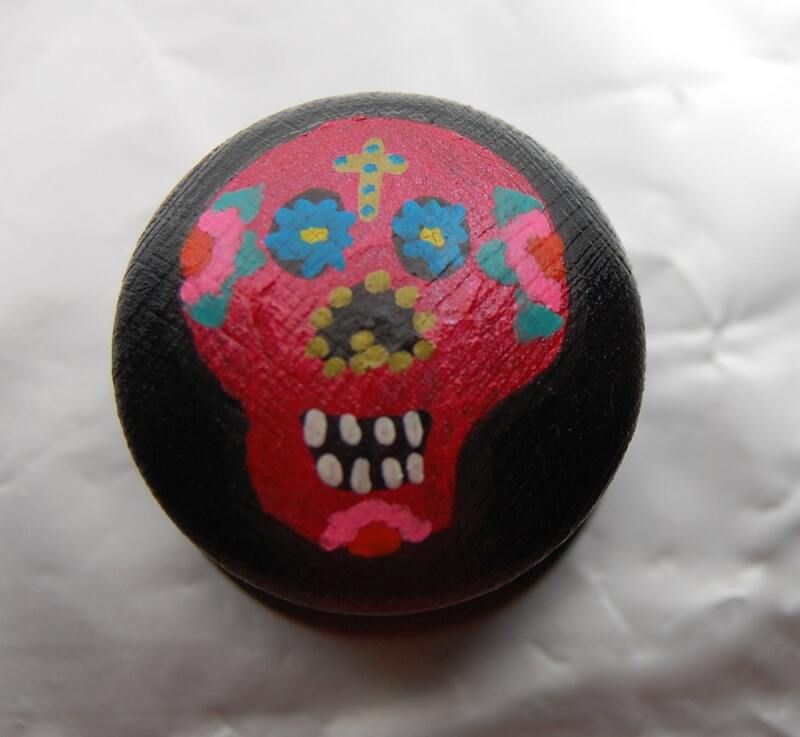 Its a wonderful celebration and I have taken inspiration from the festival to create this range of drawer knobs. This set will add the finishing touch to your up-cycle project or give a new lease of life to existing furniture or cupboard doors. 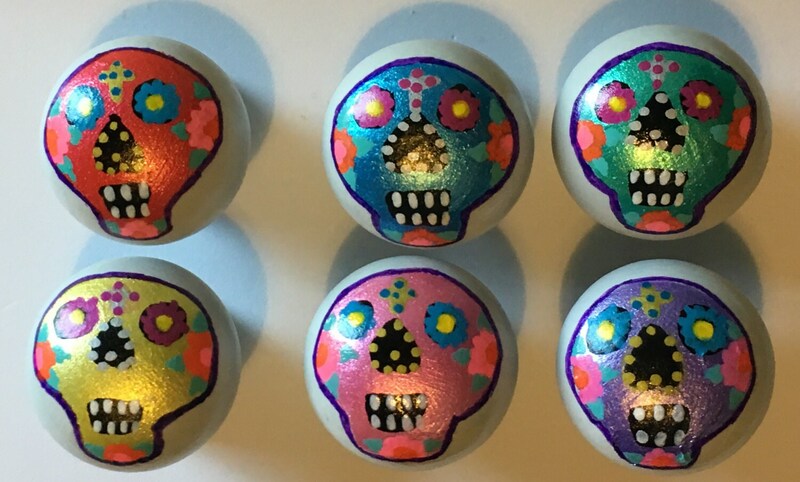 Each knob has a colourful hand painted sugar skull on a black wooden handle, the set has one of each colour blue, red, green, yellow, green, lilac and pink. 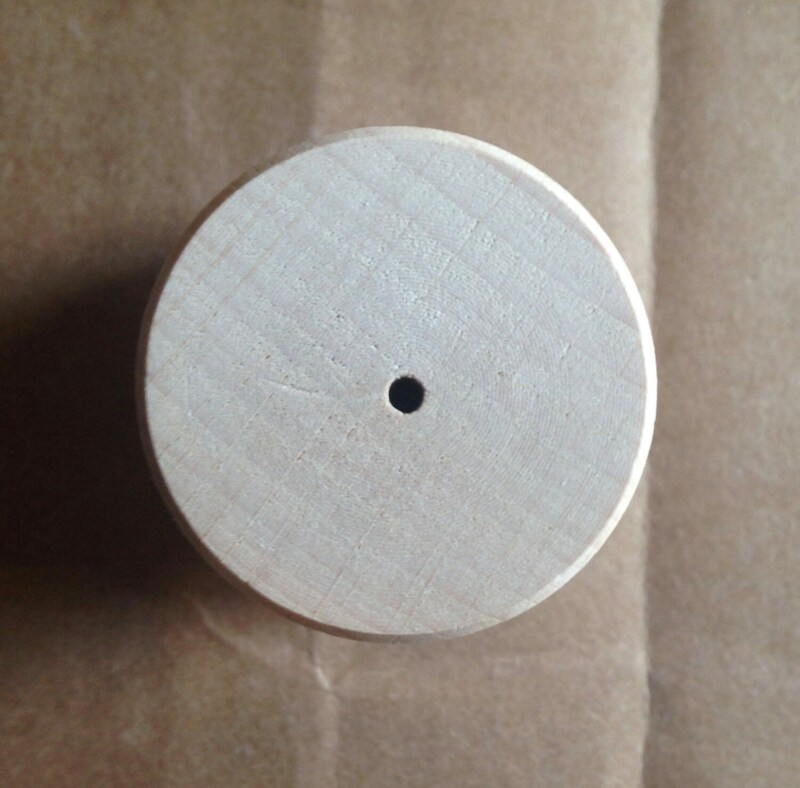 They are finished with several coats of hard wearing lacquer to ensure longevity. 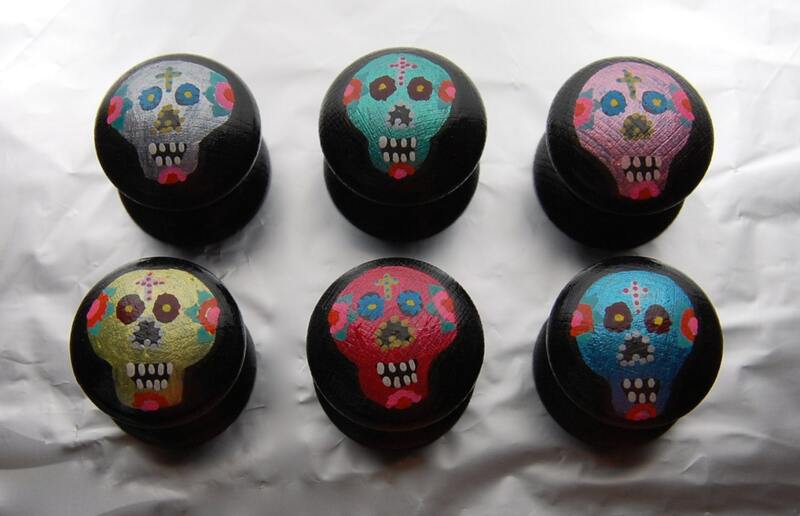 This is a set of 6 knobs, they are also available separately.